The movie ‘Big,’ starring Tom Hanks, has just gone free over at the Google Play Store, and although it doesn’t appear to be related to the Google Play Store’s 2nd birthday celebrations earlier on in the week, it’s great to see such a classic movie running as a free download. 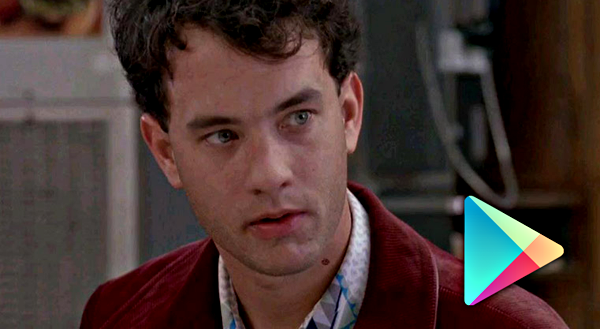 One of Hanks’ earlier roles, Big first hit our screens back in 1988, and even though the actor has gone on to win numerous awards and acclaim for roles in movies like Castaway and, more recently, Captain Philips, Big is one of those heart-warming movies that seems to resonate with the masses. A couple of days back, the Big G was marking two years since the Android Market became the Google Play Store by hosting a series of giveaways over a 24 hour period, and although this movie going free doesn’t look affiliated to that promotion, we’re certainly not going to complain! Since there’s no telling precisely why Big has gone free, there’s also no ascertaining for how long this freebie will run, so our advice to you is, grab it while it’s hot! To claim your free copy of Big, click on the direct Google Play Store link provided at the bottom of this article, at which point, you will be directed to the movie’s page. From there, click on the ‘Free’ button, and you can subsequently select whether you want a Standard Definition or High Definition copy to be added to your library (we’d say go HD). You will then be taken through the transaction process, although since the movie doesn’t cost a cent, you won’t be charged on your linked card, and any Play Store credit you have will remain untouched. Ordinarily, you’re looking at a few bucks for a movie at the Play Store, and flicks of this stature tend to cost even more, so even if you don’t intend to watch it at any point in the near future, be sure to add it to your library for safe-keeping. Please note, that you do not need an Android device in order to download or watch this movie, so get downloading! We will definitely keep an eye out for more flicks that might go free in the coming weeks so stay tuned!